Our most popular package! 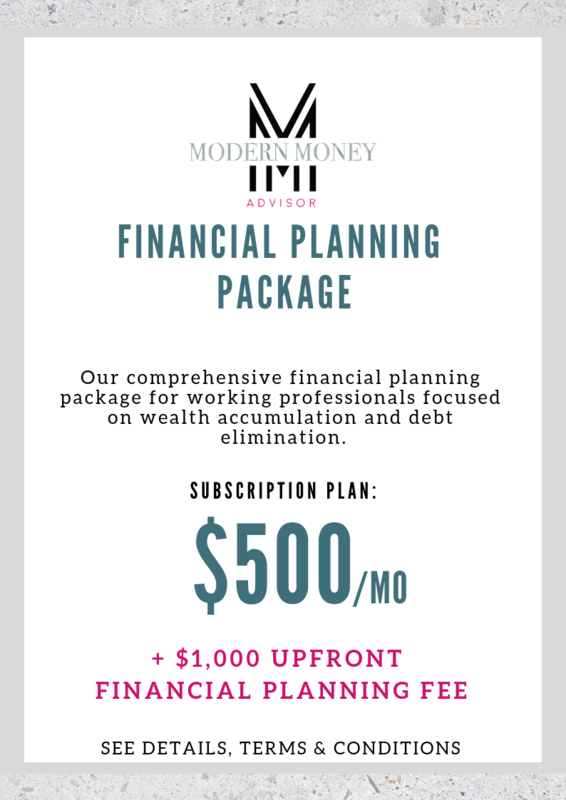 Work one on one with Angela & Arielle through all of the major areas of your financial life starting with the fundamentals like budgeting and spending all the way through to wealth accumulation and estate planning discussions. Work one on one with a CERTIFIED FINANCIAL PLANNER™ professional through all of the major areas of your financial life starting with the fundamentals like budgeting and spending all the way through to wealth accumulation and estate planning discussions. Enjoy 24/7 access to the financial planning portal, a guided program through financial planning including one on one meetings, workshops and educational content. After completing the initial financial planning program, clients receive ongoing support from us through life's transitions and changes and we are always updating the plan and making changes as needed. We recommend that you stay with us a minimum of 9 months to complete all of the financial planning areas, however, the subscription can be can be terminated at any time with 30 days written notice and a prorated reimbursement of that month's fee will submitted to you.